Well written. For some people, the holiday season is more like the nightmare before Christmas than anything else. But keep your head up, perhaps the Ghost of Yet to Come will show you a happier future. We can always hope for something better. True. It's strange though, how haunting memories can be so unclear yet prove to be so long-lasting and persistent. Thanks, Jeff. I wish you strength and clarity, Hull. Thanks, jmm. These ghosts have been with me for years! We're BOTH haunted by them, Hull, excellent! Yep. Similar but different too. Bad things seem to happen in December. Thanks so much for giving this a read. 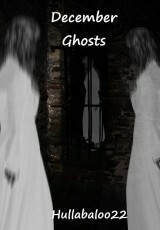 My brother lived with these ghosts - December was always difficult for him. In the last few years of his life he was more at peace with the past - it's too bad he had to die just when things were looking up for him. Stay strong, hully, whatever these ghosts are to you. Thanks so much for that comment, Bobi. It means a lot. My stress levels always go through the roof prior to Xmas. It's a kind of learnt response, maybe you're haunting is a similar pattern.. the ghost of Xmas past! Great poem, Hully. I think it's a ghost of Xmas long past that my head won't get quite in to focus. Thanks for giving this a read, Sue. December is definitely mine, Tom. Thanks for giving this a read.